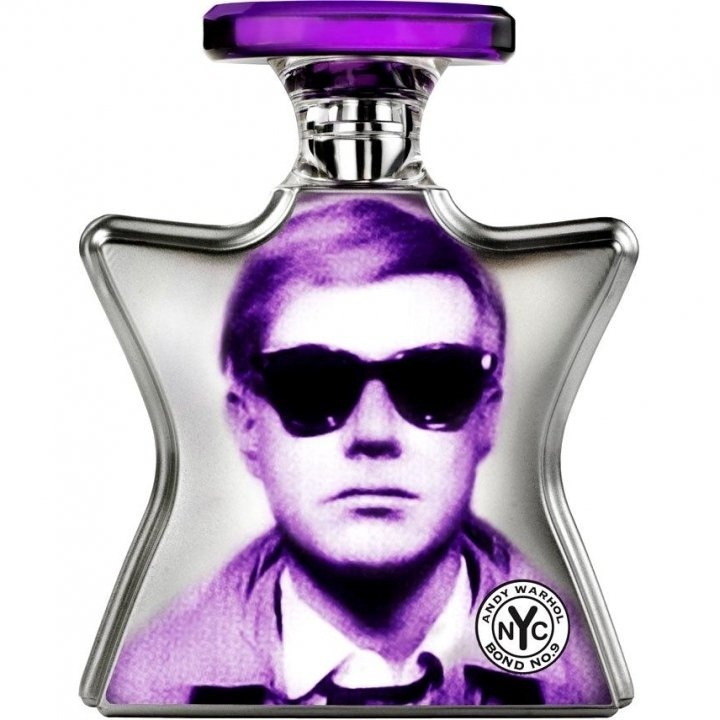 Andy Warhol is a popular perfume by Bond No. 9 for women and men and was released in 2011. The scent is sweet-fruity. The longevity is above-average. The production was apparently discontinued. Purple seems like the perfect color for the image of Andy Warhol on the bottle of Bond no 9 ANDY WARHOL, because it contains a very inky, plummy, incense perfume. Oddly enough, there is also a very marked peach note, which hovers over the top of the composition and can be teased out by my nose (if I concentrate..) from the more intense purple amalgam which dominates the scent. The inkiness reminds me a bit of the opening of Lalique ENCRE NOIRE, but the dark plum and peach really make this unique. There is a strong, deep, cooked fruitiness to this composition, without its being very sweet. With such *great* longevity and pretty big sillage, this latest entry in the Bond line up seems to me like a straight-up perfume, not a cologne. I don't think that it is more feminine than masculine, but it definitely has a depth and heft which are more characteristic of women's fragrances than men's. Write the first Review for Andy Warhol!